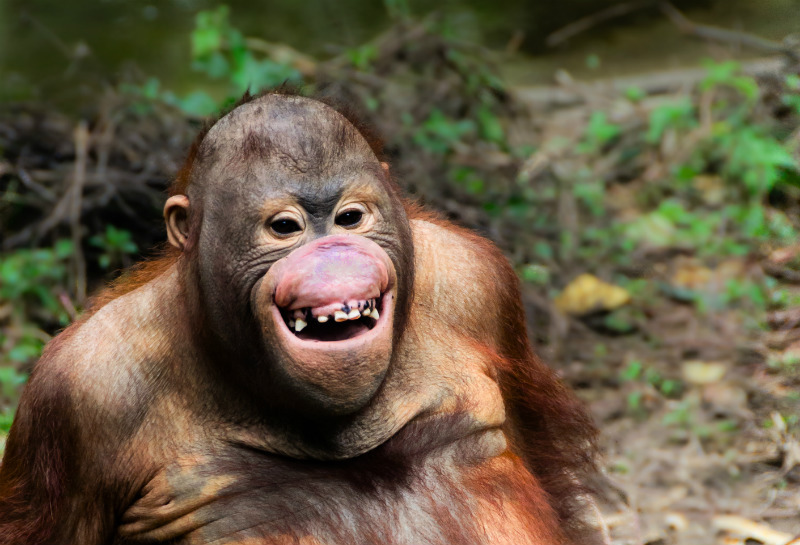 Finally, as if by a stroke of luck, while the zookeepers were taking the orangutans back to their enclosure for the fourth time, Jerry saw something glistening in Fu Manchu’s mouth. Upon noticing this, he pulls down Fu’s lip. Inside the orangutan’s mouth, right in between the gum and the lip, was a four inch piece of wire bent into a horseshoe shape so that it could fit perfectly in his gums. It had been in Fu Manchu’s mouth for so long that it was polished shiny.